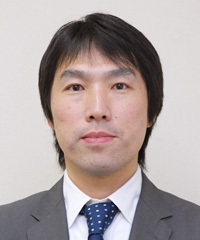 Yamada Kimio (山田 規三生, born 9 September 1972) is a Japanese 9-dan professional. Yamada won the Oza title in 1997, and challenged Takao Shinji for the Honinbo in 2006. He reached the final of the 5th Samsung Cup in 2000, but lost to Yu Ch'ang-hyeok. In 2006 he became the first player to earn promotion to 9-dan through two hundred cumulative wins as an 8-dan, in the Nihon Ki-in new promotion system. In 2010 he challenged Cho U for the second time in a row. His two elder brothers Yamada Wakio and Yamada Shiho are also professional Go players. In his carreer Yamada reached 600 wins in 2004 and, defeating Imamura Toshiya 9 dan, 700 wins in 2007-11-01 (29th player of the Nihon Kiin, with the best percentage of 71,6% and setting a new speed record of 18 years and 7 months since turning professional). A collection of 10 of his games from 1997 to 2010, annotated by him, published in MYCOM's wakari yasui go series.